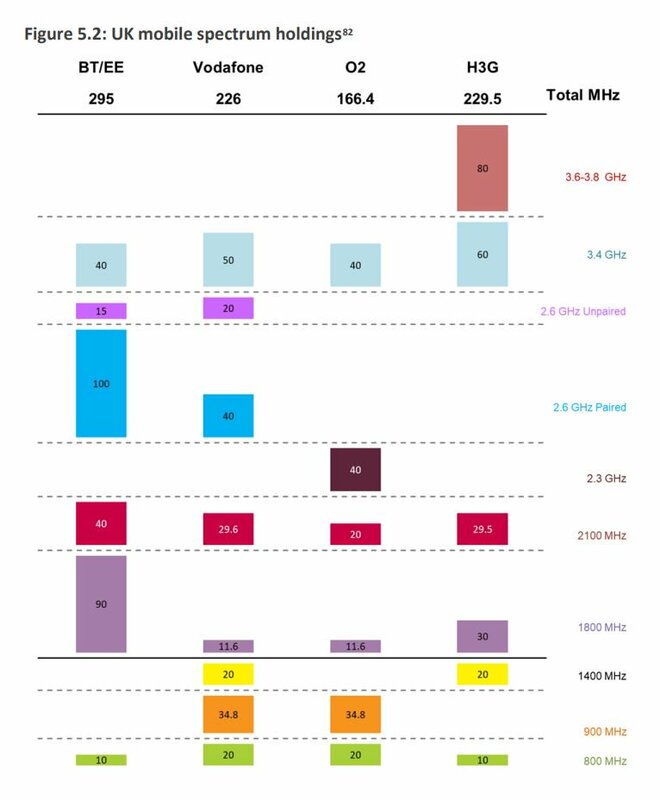 In a recent consultation document on 'Award of the 700 MHz and 3.6-3.8 GHz spectrum bands' that the UK regulator Ofcom has published (link), there is a nice summary picture (pg. 62 or pg. no. 60) of all the current spectrum holding by the big 4 MNOs. Looking at this, one can conclude that all the UK operators have spectrum to launch basic 5G services whenever they are ready.